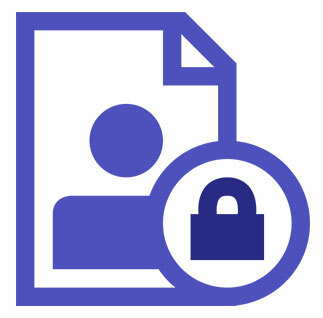 For the purpose of this Policy, “Personal information” is any information that relates to a natural person which, either by itself or can be used in combination with any other information available with Barjeel Geojit, for identifying such person. Barjeel Geojit may collect and hold personal information relating to you and your identity that you have provided to us, such as on an application or Know Your Client (KYC) and member-client forms. We may also collect your personal information when you use our services or websites or otherwise interact with us during the course of our relationship. Personal information collected and held by us may include, amongst other things, your father’s name, spouse’s name, date of birth, residential and correspondence addresses (current and previous), telephone number, mobile phone number, email address, education and occupation related details and information contained in the documents used as proof of identity and proof of address and bank account. Barjeel Geojit collect, store, process Sensitive Personal Information, including password, financial information (details of annual income, networth, portfolio, Bank account, debit card, or other payment instrument details), depository details. We may also hold information related to your utilization of our services which may include your call details, your browsing history on our website and additional information provided by you while using our services any other information collected in relation to your use of our products and services ("information"). Barjeel Geojit shall ensure that the personal information collected will be used only to the extent it is necessary to administer our services in the best possible manner and what is required under the various regulations of Indian Laws the land. In case you do not provide your information or consent for usage of personal information or later on withdraw your consent for usage of the personal information so collected, Barjeel Geojit reserves the right to not provide the services or to withdraw the services for which, the said information was sought. There may be certain circumstances, when Barjeel Geojit may be required to share the information given by you with the third parties. We may transfer your personal information or sensitive personal information collected, stored, processed by us to any other entity or organization located in UAE or outside UAE only in case it is necessary for providing services to you or for assisting in protecting the operation of Barjeel Geojit networks and systems or if you have consented (at the time of collection of information) to the same. Barjeel Geojit adopts reasonable security practices and procedures to protect your personal information from unauthorized access, or disclosure while it is under our control. Our security practices and procedures limit access to personal information on need-only basis. Further, our employees are bound by Internal Code of Conduct and Confidentiality Policies which obligate them to protect the confidentiality of personal information.